1. Do you have a problem with thinning hair? 2. Does it dread you to take a shower and seeing strands of hair being drained on the bathroom floor? 3. Or do you suffer from an embarrassing receding hair line? If you answered yes to any of these questions, then you need to know Lipogaine - a line of products that have been proven to reduce hair loss and promote hair growth in just a few months. You no longer have to scour the internet, drugstores, or supermarkets to find the hair loss solution that works - Lipogaine has been in the market for over 25 years, providing the most effective and simplest solutions to all your hair loss problems. Lipogaine is among of the leading products in the market for hair loss. If you've been suffering from a receding hair line, thinning hair, and extreme hair fall, Lipogaine just might be the product you've been looking for. Lipogaine offers a number of products such as shampoos and conditioners that are easy to apply and used on a daily basis. The company behind Lipogaine has been manufacturing their products for the last 25 years, and have continuously produced the best hair loss solutions in the market today. Ingredients are a combination of organic natural ingredients, as well as the best scientifically-proven chemical ingredients that bring effective results. They use an extensive and holistic approach by utilizing a proprietary delivery system for maximum results. Containing different percentages of Minoxidil, the only formula approved by the FDA to treat hair loss and help regrow hair, it's a powerful yet gentle hair loss solution for you. Minoxidil is the only over-the-counter treatment that's been clinically proven to prevent further hair loss and stimulate hair growth, giving you professional results in the comfort of your own home. Minoxidil works by relaxing your blood vessels, so hair follicles receive nutrition better, opening up to the effective ingredients that bring about hair growth and preventing hair loss altogether. Lipogaine is used twice a day - once in the morning and once in the evening. The products are non-greasy and dry fast, so they're not icky and oily on your hair. You simply have to apply the product on your hair and scalp, making sure the entire problem area is covered. Rub the product onto the scalp, massaging for a few seconds until area is completely covered. Wait until the product dries. Leave it on for at least 3 hours, after which, you can rinse off the product from your hair. You can use Lipogaine conditioner to prevent your hair from being dry and to keep it moisturized. Apply the products twice a day on a daily basis for the next 4 months and you'll see significant results. The first hair that grows on your scalp will be thin but over time, it will eventually grow with the same color and thickness as your natural hair. There are many factors to hair loss, which include genetics, age, disease, hormonal imbalances, the body's reaction to certain medication, and many others. The most widely known and accepted cause of hair loss is the DHT Theory. The DHT Theory states that high amounts of DHT in the body as you age causes hair loss when they cling to your hair follicles, killing them, and eventually preventing hair growth. DHT means dihydrotestosterone, which is a by product of the male hormone testosterone produced by the enzyme called 5-reductase. During puberty, the body produces large amounts of DHT, which is needed for secondary sexual characteristics in both men and women. But with age, high levels of the hormone DHT have negative effects. Lipogaine addresses high levels amounts of DHT by providing a solution that reduces DHT production. But not only that, Lipogaine also contains proven ingredients that are scientifically proven and tested to stimulate hair growth. This 2-way approach to hair loss puts Lipogaine ahead of other hair loss products in the market, creating effective solutions for both men and women. Lipogaine offers products that are can be used by men and women, such as their Classic Big 3 Shampoo, but they also offer specified products for both men and women specifically. Lipogaine is for anyone who's suffering from hair loss, whether you have thinning hair due to age, or you're currently suffering from a receding hair line, or if you have bald spots, or if you have extreme hair fall, or if you want to have thicker hair. If you're suffering from hair loss due to a certain disease, or if your hair loss is caused by certain medication, Lipogaine may not work for you. You would need to consult a doctor to figure out the real cause of your hair loss. Easy to Apply - their products are easy to apply. 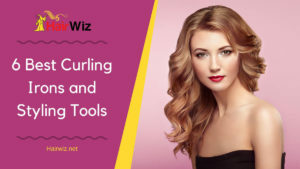 All shampoos and conditioners come with a dropper applicator that you fill up with the product and you simply squeeze the shampoo or conditioner to your hair and scalp. You'd need to rub the product onto your scalp and not just the hair itself. Variety of Products - they have products that can be used by both men and women; they also have products that are used specifically for men only and vice versa. They also have specific products for those who have sensitive scalps. Decades of Positive Reviews - Lipogaine has been in the market for over 25 years and it shows how effective, safe, and reputable their products are. Offers a 100% Guarantee - Lipogaine steps it up a notch by providing all purchases with a 100% money back guarantee. Within 90 days of your purchase from their official website, you can return used or unused bottles and get your full money back, including your shipping fee! It shows how confident they are their products work and shows how committed they are to giving you solutions that truly work. Shampoo Dries Out Hair - many users have reported that Lipogaine shampoo dries out their hair. Because of this, you'd need to apply conditioner to hair after using Lipogaine. 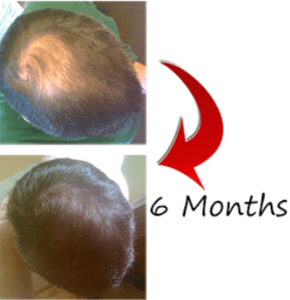 Takes Time to Work - Lipogaine is not an overnight solution to hair loss/growth. It takes time for the product to work - in fact, it takes 4 months to truly see significant results. For others, it takes only 2 months to see results so it really all depends on the factors that contributed to your hair loss, as well as how diligent you are at applying the product. 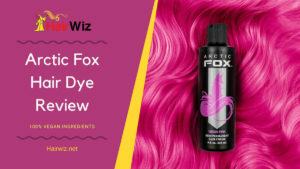 Takes Time to Apply - you'd need to have dry hair to apply the product and rub it onto your scalp. You'd then have to wait another 3 hours before washing it off. If you're always in a hurry, this might be an inconvenience since you'd have to apply the product twice everyday - once on the morning and once in the evening. 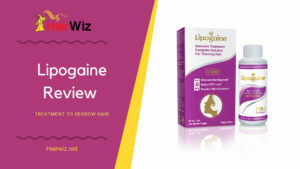 Lipogaine claims their products are gentler than most in the market, with only itching and scalp irritation being the most common side effects being reported. In very rare cases, some users might experience dizziness, faintness, or some chest pain, due to allergic reactions to some of the ingredients. Because Minoxidil relaxes blood vessels, stimulating blood circulation to hair follicles, it's best that you avoid using Lipogaine if you have high blood pressure problems. Those who are suffering from cardiovascular diseases are also prohibited from using the product. 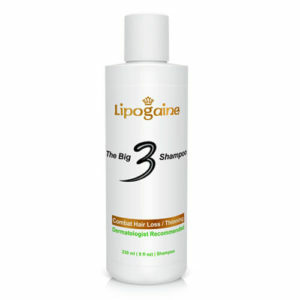 Lipogaine's The Big 3 Shampoo or Classic Lipogaine Big 3 Hair Loss Shampoo is made for both men and women. The brand's signature product, it contains a combination of natural and proven ingredients for your hair loss solution. The shampoo encourages natural hair growth, and prevents premature hair loss and hair breakage. The Big 3 ingredients are: Biotin, Castor Oil, and Emu Oil. Biotin is among the most common ingredients in hair loss products as it is a Vitamin found naturally in hair. Biotin is a protein that belongs to the Vitamin B complex family, and is otherwise known as "the hair growth vitamin." Hair naturally contains proteins, which include keratin, and Biotin is among the amino acids present in hair. The more Biotin you have, the more hair your scalp produces. Biotin has been known to support healthy hair, skin, and nails. And Biotin deficiency is also known to be one of the leading causes of hair loss in both men and women. Castor Oil helps promote hair and skin health, and has been used for hundreds of years to help treat skin infections, as well as other health issues. One of the causes of hair loss is skin inflammation. When the scalp is inflamed, it can stunt hair follicle growth , and thus, inhibit health production of hair cells. Emu oil is among the most effective naturally-occurring oils that reduce and prevent skin inflammation, and is even said to be more effective than fish oil. 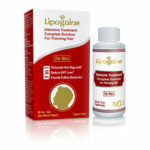 Lipogaine for women is an intensive treatment & comprehensive solution for thinning hair. It helps to stimulate hair growth, reduce DHT levels, and provide follicle nutrients. It contains 2% hair growth stimulator with liposome delivery system. This 2% hair growth stimulator with DHT blockers contain other ingredients such as saw palmetto, beta-sitostero, Vitamin B complex, and other ingredients. If you suffer from sensitive scalp, Lipogaine for Women offers a sensitive version which are free of the ingredients that may cause skin irritation. 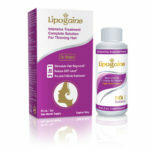 The classic Lipogaine for Women version has a red box packaging while the sensitive version has the blue box packaging. Lipogaine for men contains 5% solution with biotinyl-tripeptide, niacin, apple polyphenol, and other ingredients for maximum hair growth. Lipogaine for men contains more solution since women are more sensitive to the effects of Minoxidil, which is increasing blood pressure. Lipogaine for men also provides a sensitive version, which is free of the ingredients that cause skin irritation. The product is also non-greasy and dries fast, within 10 minutes, which is faster than other topical products in the market. Lipogaine also offers other products such as the Lipogaine conditioner, if you wish to add another element to your hair care regimen while also adding to your hair loss solution routine. Since a lot of users report that the shampoo has a tendency to dry out hair, the conditioner can be a great help to keeping your hair healthy and looking great. They also offer their microneedling dermaroller, which contains titanium needles that you roll onto your scalp for better serum absorption. The dermaroller is not for everyone as it can hurt a little but not to the point that your scalp bleeds. The dermaroller massages and rubs your scalp, which helps to stimulate better blood circulation, and that always helps to provide better cell production. And lastly, Lipogaine also offers their eyelash enhancing serum, which helps to promote natural eyelash and eyebrow growth in just 4 weeks. There are a lot of hair loss solutions in the market today and they all promise effective results, but not all products out there have been on the top of the industry for 25 years. Lipogaine has consistently and continuously provided effective and high-quality solutions for those who suffer from hair loss, providing them with solutions that have changed their lives for the better. 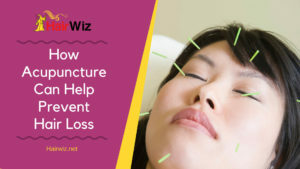 Nothing will make you look older than you really are than thinning or bald hair, and looking for effective treatments in the market can be like looking for a needle in the haystack. There's no need to pay for expensive treatments as within a few months, your natural hair will start to grow back to fill out bald spots. Lipogaine may not be an overnight solution but it provides natural hair growth that's safe and organic, so the hair that grows will be the very same hair that you have on your head. 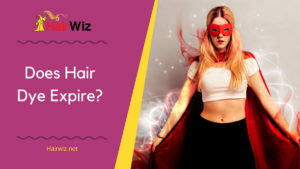 You don't need life-threatening surgeries or expensive wigs to give you your natural hair once again, a simple and inexpensive solution is found in Lipogaine. Whether you're a man or woman, you'll definitely find your hair loss solution in Lipogaine.